Penguin refrigerated lockers offer a complete hardware and software solution for the e-grocery market. The refrigerated lockers are capable of being set between +35 °F and +68 °F. The modular design grants the ability to activate and isolate the lockers which are in demand, resulting in low energy consumption and near silent operation, perfect for indoor placement. 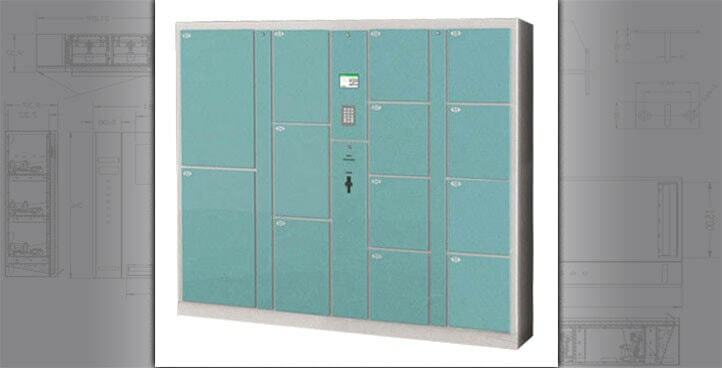 Lockers that are not being used will sit at ambient temperatures until demand requires a different temperature. 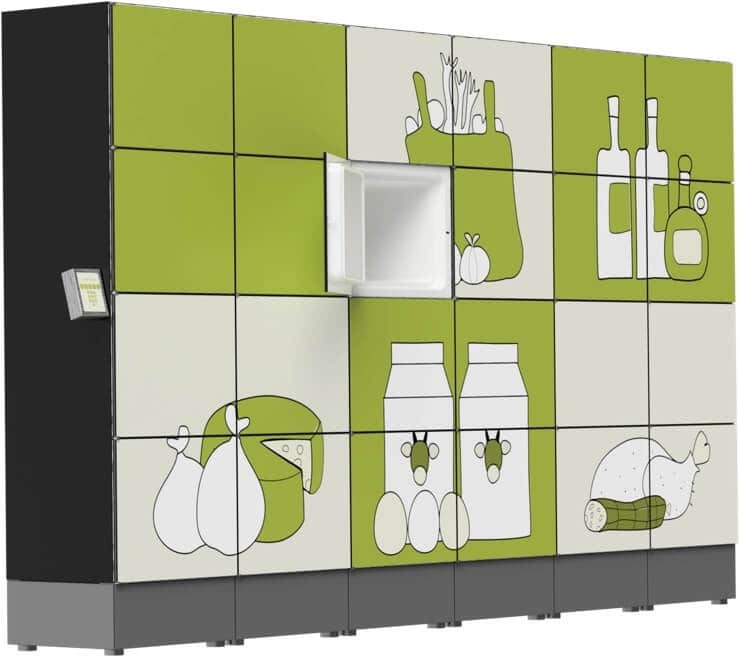 The modular design allows you to customize the overall size of the refrigerated lockers to fit your location and your delivery volumes. 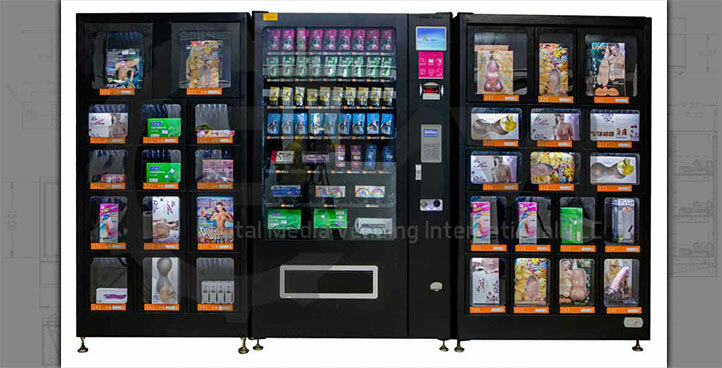 Locker sets come with a lot of unlocking choices which are easy to integrate with your e-commerce platform or in-house software. The robust build quality and high-efficiency insulation have been carefully considered so that they can operate even in extreme temperature conditions, hot or cold. 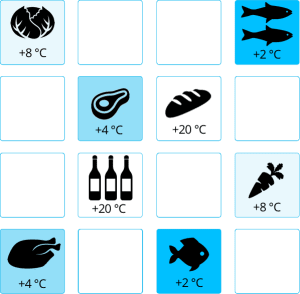 The temperature of each refrigerated locker can be individually adjusted from +35°F and +68°F, regardless of the external ambient temperature. 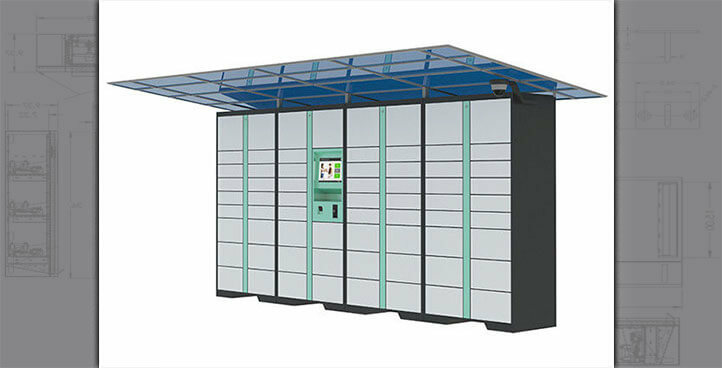 These refrigerated lockers have been designed to operate seamlessly in hot and humid climates (up to +95°F / 70%). Temperatures are controlled even in cold climates (down to -14°F) thanks to an internal warming system. 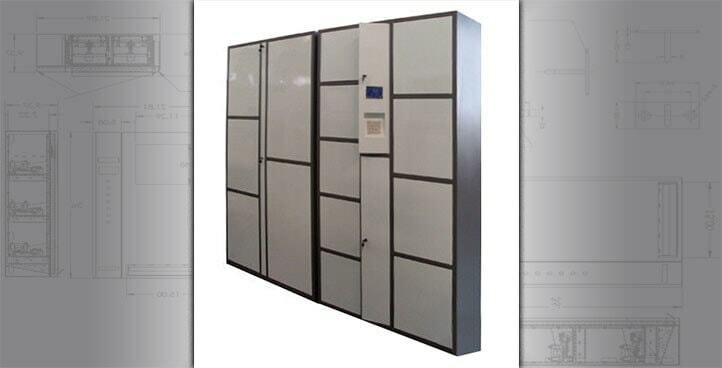 The basic locker module is a single column composed of 4 stacked lockers and a cooling unit. By joining any number of columns, you can assemble a refrigerated collection station that meets your delivery demands and fits within your location. 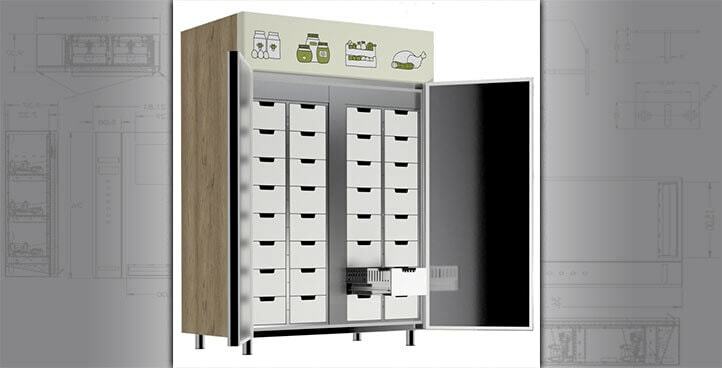 Increasing the capacity of your e-grocery locker business is simple because you can add additional columns to meet your customers demand. 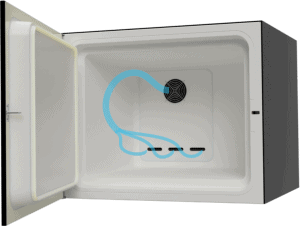 Thanks to individual air loops inside each locker, there are no contamination risks between lockers. This essential feature is crucial if you are running a multivendor e-grocery business, in which it could be difficult to guarantee the condition of goods shipped by your vendors. Accelerated circulation of refrigerated air decreases the humidity level and eliminates moisture and ice from food and fridge walls. 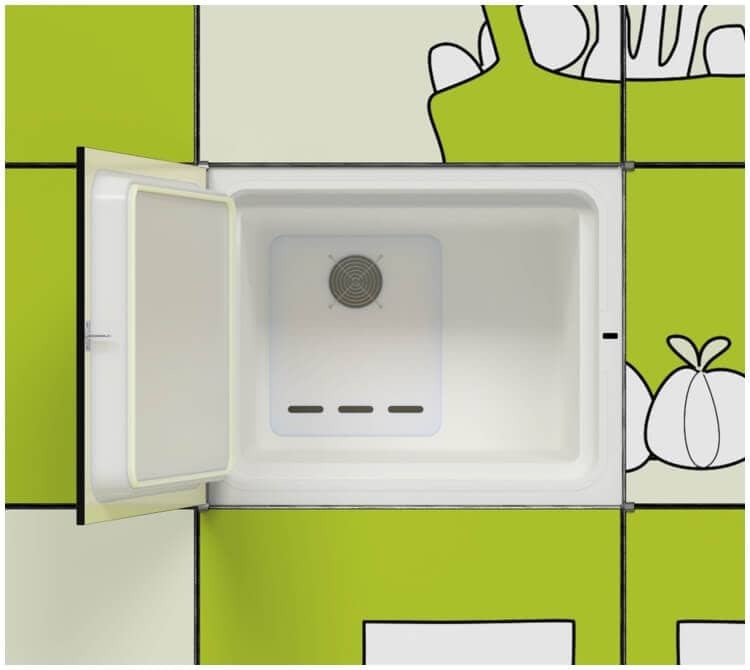 Low humidity and moisture result in decreased bacteria growth and easier cleaning. Thanks to our zero frost and anti-freeze system, manual defrosting is not required. 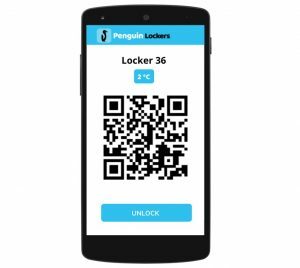 Penguin refrigerated lockers come with a comprehensive software platform capable of managing large networks of installations. Our software integrates with your existing in-house software and e-commerce platforms. Our engineers are available to work with your development team to expedite and streamline the integration process. Each column of refrigerated lockers is shipped in two boxes. One box for the cooling unit and one for the pre-assembled stack of lockers. Placing the cooling unit and lockers into position is not demanding, as their weight and size have been optimized for easy installation. 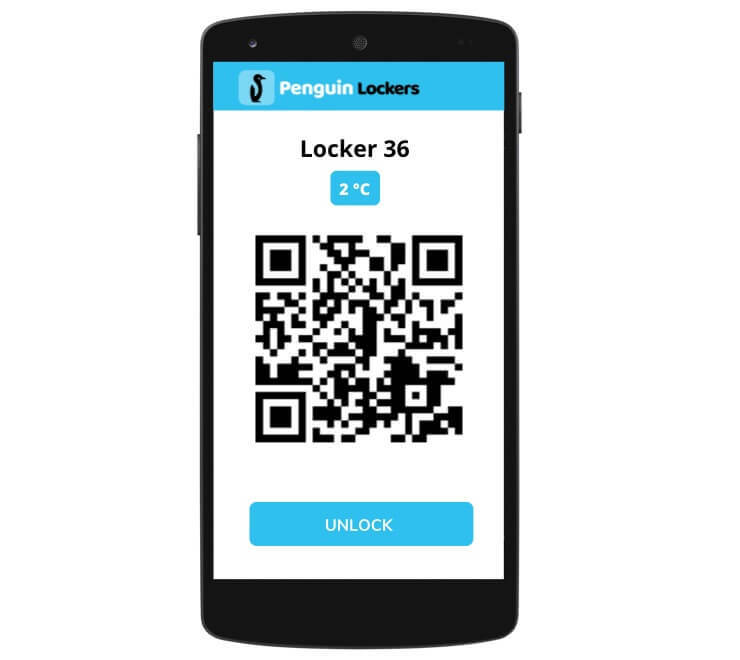 Penguin refrigerated lockers are engineered for years of trouble-free service. 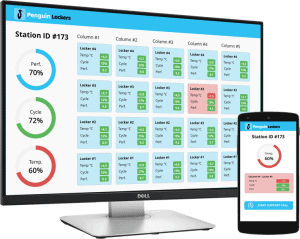 Using remote diagnostic tools, our support team can monitor all parameters and logs. 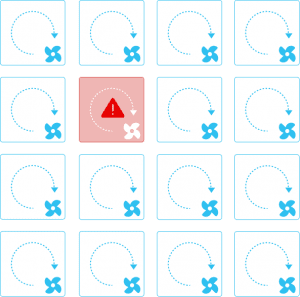 In the event of a fault, we can remotely diagnose it very quickly. If the problem cannot be fixed remotely, on-site adjustments are easy and fast. 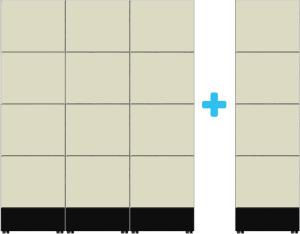 The worst-case scenario would be to replace a single locker. We can ship a single locker in a few days and to replace it takes about 1 hour – the difficulty level of replacing a single locker is as easy as assembling a simple peice of Ikea furniture.